EDIT: Oh, yeah, swapped #1 injector with #4, didnt make any difference in 'nailing' sound. So, I'll live with it until I get the time/nerve to play with the injector delivery seals. Lubed the hood latches with ATF, just because it was open. Wiped a lot of oil off of everywhere, because I had a roll of paper towels. Got inconlusive readings on vacuum to transmission, will have to play more. The Grand Marquis has a miss, I think one or more spark plug boots have developed carbon tracking, and the low wiper fluid warning is always on, annoying the **** out of me. I just keep adding to the list of automotive stuff to do! Last edited by Jim H; 02-06-2005 at 05:18 PM. Haha DUDE you put that exactly where I put my VM-V7A Dual Bander. Its a bit taller so it interferes with the cig. box but I never use that anyway. I put my unit in the back by the trunk and ran all the wires under the carpet on the drivers side inside the wire/vac line channel thingy. It actually turned out nice and the worst thing I had to do was take out the drivers seat (4 bolts). I will take a pic of my install..it looks exactly like yours. That unit is the remote control head for a VHF/UHF two-way radio. If you have a well-rounded personality, it allows you to converse within line-of-sight range. If there are defects in your character, it will take over your entire life, and you end up like me. Q: What does it cost to be involved in Amateur Radio? A: Everything you have, plus a little. 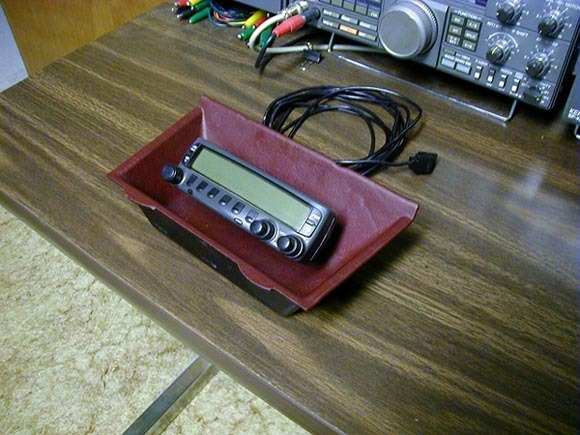 I'm planning a similar install in my 300CD, except I don't have the coin tray. I got a spare ashtray, unscrewed the handle so that I have a flat surface to work with. Now I'm tracing the control head outline, and I plan to use my router to carve out the wood. Then I'll drill a hole for the control head cable, and mount the slightly recessed control head. The TM-D700A goes in the trunk. I am wondering when I will ever find time to reinstall the 6-sweep tube HF linear in the trunk. 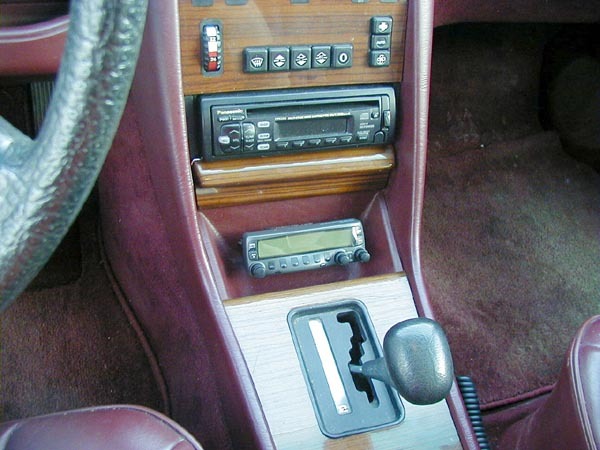 Or the six meter Rangr in the wagon, or the 900 MHz FM gear (Motorola GTX) in the W124. I have a big Leece Neville alternator for the '72 220 to run the 8877 linear in that car. Darned too many projects!!!!!!! I was raised on rf! Last edited by dieseldiehard; 09-05-2008 at 07:13 PM. Just don't give me no 88's and we'll get along just fine good buddy! I am a future ham. I bought a TenTec radio and am planning an antenna system. It has been a while since I studied for licensing tests and will have to pretty much start over. I have been eyeballing local elmer lists but haven't called anyone yet. I have a big Leece Neville alternator for the '72 220 to run the 8877 linear in that car. "DAMN I just lost a rare DX becuase the friggen engine stalled when I went to key..."
Go into the menu, and set PM AutoSave back on. You must have done a reset; the default setting is off.